This sharp 1951 Bulletnose Champion Business Coupe belongs to Birgitte Nielsen of the Netherlands. 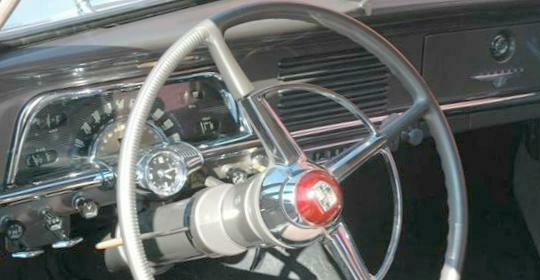 The bright wheel trim rings and gas door guard are nice touches to this relatively rare model. 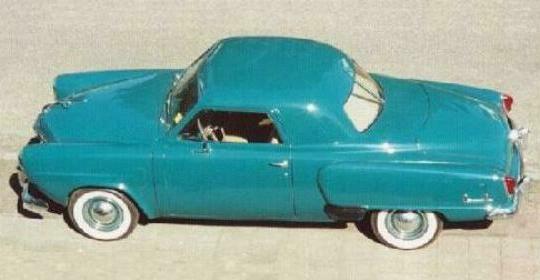 Only 3,763 Champion Business Coupes were produced for the 1951 model year, which was the last year for this body style. 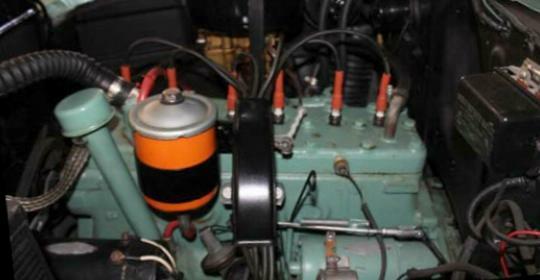 All 1951 Champions were powered by a 170 cubic inch flathead six rated at 85 horsepower. This 1950 Bulletnose Champion Sedan belongs to Troy Tucker of Mattoon, Illinois. Troy bought the car off the Ebay auction site. It has only 31,310 miles on the odometer and is all orginal except for the carpet and what appear to be later model wheel covers. Note the "suicide" rear doors clearly visible in this picture. These are notorious for blowing open if the door becomes unlatched while the car is moving. Troy also owns two Hawks and two Wagonaires. This fine looking 1951 C Cab Pickup street rod belongs to Bob Harrison. 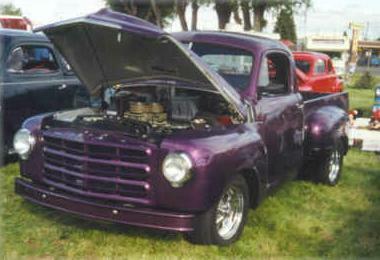 1950's Stude trucks continue to be quite popular with the street rod crowd. In addition to being a great looking truck, the C Cab is just the right size, neither too big, nor too small. And there is room under the hood for a big engine if you want one. 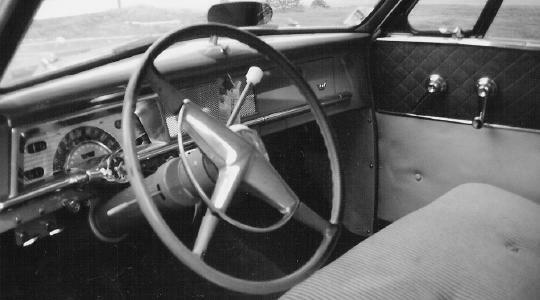 Steve Mason provided this black and white picture of a 1952 Studebaker Champion Starliner Hardtop that he bought in 1957 from Blue and White Studebaker in Hackensack, New Jersey. After a year and a half of ownership, Steve traded the Champion in on a 1954 Commander Hardtop. Steve, who is currently Studeless, says he would snap up another 1954 Commander Hardtop if he could find one. 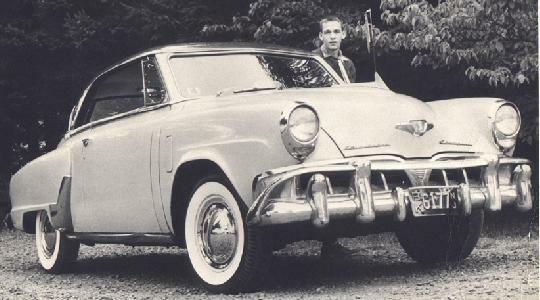 A total of 12,119 Champion Starliner Hardtops were produced for the 1952 model year. 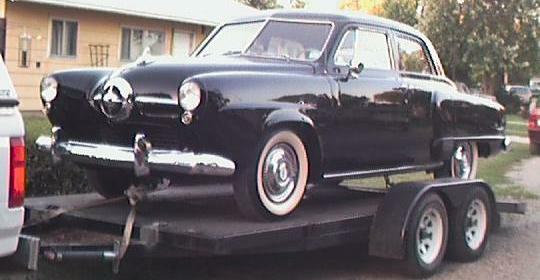 This was basically a one-year model because the 1953 Studebakers were completely redesigned. 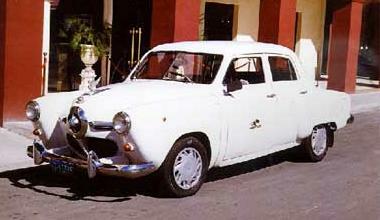 Jason Vogel from Brazil sent this picture of a 1950 Studebaker that is still in use as a Taxi in Cuba. Unless I am seeing things, the rear doors appear to be "unsuicided" with the door handles at the rear. The hood ornament and 1990's style plastic hubcaps are interesting touches. This is but one of many older American made cars that continue to ply the roads of Cuba. Jason, who has contributed to this page several times before, is the Auto Editor for O Globo, the major daily newspaper in Rio de Janeiro. Hot Wheels surprises again with a really nice 1:43 scale model 1953 Studebaker Starlight Coupe Funny Car. It is available in white as shown and also in purple-blue with flames. This model is much more realistic and detailed than the 1:64 scale Hot Wheels "At-A-Tude" Starliner Hardtop model. To see more toy Studes, visit my Studebaker Toys Home Page. Click here for information on ordering a toy Frankenstude Hot Rod, 1961 Champ Truck, 1951 Starlight Coupe, or Modified 1953-54 Starliner. Racing Champions 1951 Studebaker South Bend Police Cars are back in stock.